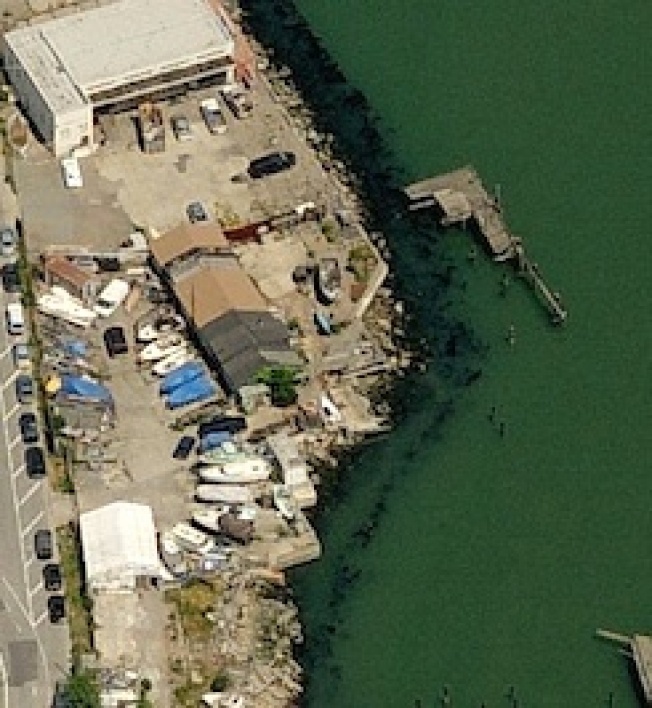 Pier 64 is really more an outcropping of land and a collection of pilings than a pier— but the little pier's life has already ended. The Port of San Francisco recently cleared out artists and maritime users of Pier 64 to demolish it and make way for Bay Front Park, a stretch of waterfront open space. That ends the life of one of the city's last public boat yards, while beginning the life of what some call a pretty "generic" looking park. The rather forlorn-sounding former tenants of the pier seem to be worried that the park will invite rats, which park boosters call nonsense. In any case, the whole thing has sort of pitted new Mission Bay against the city's maritime past. Is there room for the "funky" boaty flavor of yore, or is the upstart neighborhood destined to be just boring and kind of nice? We're reminded a bit of the staredown between condos and houseboats at Mission Creek.